Mallzee – The Future of Online Shopping? Picture taken from Malzee website. 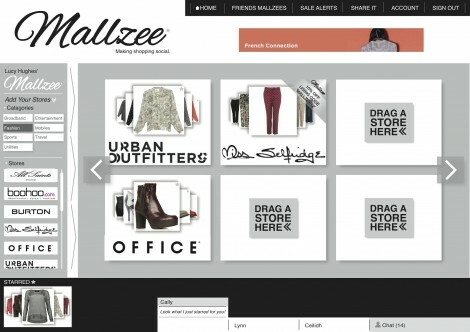 So recently I’ve been hearing a lot about Mallzee* in the blogosphere and finally I’ve found out what all the fuss is about. I was recently contacted by Mallzee and asked to share some information with you guys and I found the concept really interesting so here it is! Mallzee describes their service as “the perfect online shopping experience.” and I have to say it sounds pretty close! With an increasing number of us shopping online now it only makes sense for the experience to become more social. With Mallzee you can create your own ‘mall’ (hence the name MALLzee) with all your favourite shops. Here you can save your favourite looks, talk to your friends (through the integrated Facebook chat function) and get opinions on your favourite items by creating a poll. AND not only does the whole experience become more social, but you get paid for it too! When you invite friends to your ‘Mallzee‘ you get paid a small percentage for every item they buy and also every item you buy too. This is like a students dream, almost guilt free shopping! I mean it’s okay to buy one little teeny thing if you’re getting money back from it right? I mean a student loan is all about investing in your future and buying clothes is just an extension of that isn’t it…? Anyway, enough of me justifying my spending habits! Obviously as Mallzee hasn’t launched yet I can’t give a full review but I am definitely eager to try it out – with over 200 brands signed up already (including some of my favourites: Miss Selfridge, New Look and Urban Outfitters) and with the added bonus of earning while you spend I have to say it sounds very appealing and I can’t wait until the launch to try it out. 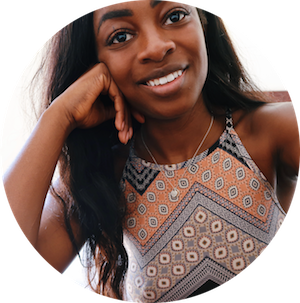 To sign up for the pre-launch which is set to be later this year, head to Mallzee.com and when it launches… don’t forget to add me to your Mallzee! What about you guys? Have you heard of Mallzee before? Will you be signing up? Let me know!